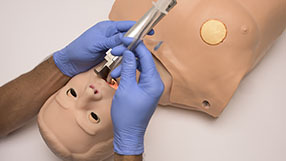 Intubatable airway with lifelike tongue, vocal cords, and trachea. Monitor ventilations and observe realistic chest rise. Realtime ventilation and compression feedback with coaching tones. 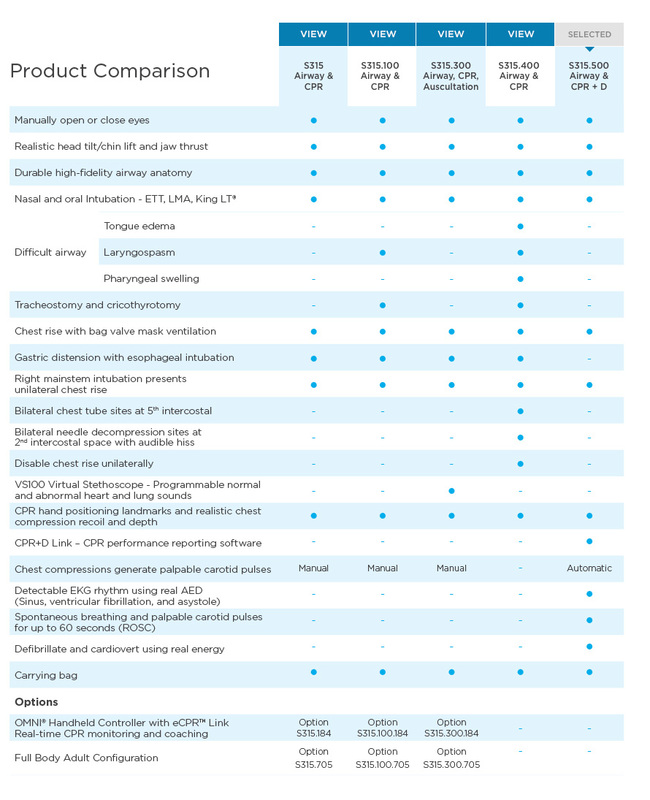 Select sinus rhythm, ventricular fibrillation, or asystole detectable your native monitor. 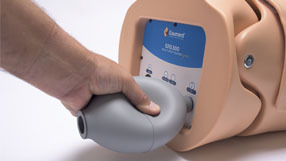 Attach your AED pads directly and defib using real energy. ROSC after defibrillation; automatic pulses and visible chest rise. 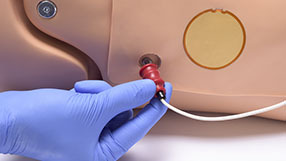 Shock directly to pad-free posts. Advanced feedback and reporting during and after the training. 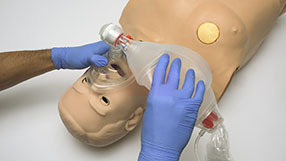 Easily refill the automatic breathing system for the next session. Attach real AED pads directly to the conductive skin. Shock the conductive skin. 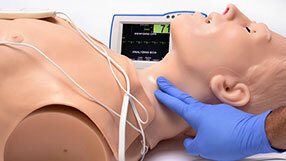 Shock the simulator using your defibrillator just like a real patient. 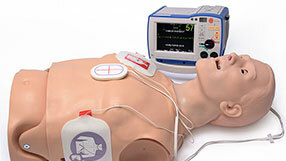 Your AED will display the simulator’s ECG.will display the simulator’s ECG. Automatic pulses and breathing with realistic chest rise. Electronics powered through chest compressions; 30 compressions get the system up and running. 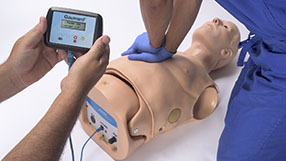 Simulator remains charged during training and recharges itself while the student practices CPR. No batteries to replace. Energy storage device capable of 500,000 cycles. Screen prompts instructor when student must compress “faster” or “slower”, “softer or harder”. 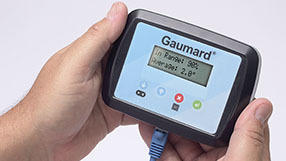 Reporting metrics stored in the controller’s flash memory and can be transferred to a computer using the controller’s USB port. Program ECG rhythms; choose sinus, ventricular fibrillation, or asystole. 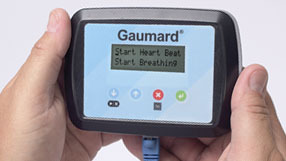 Selected ECG rhythm will be seen on your real AED.